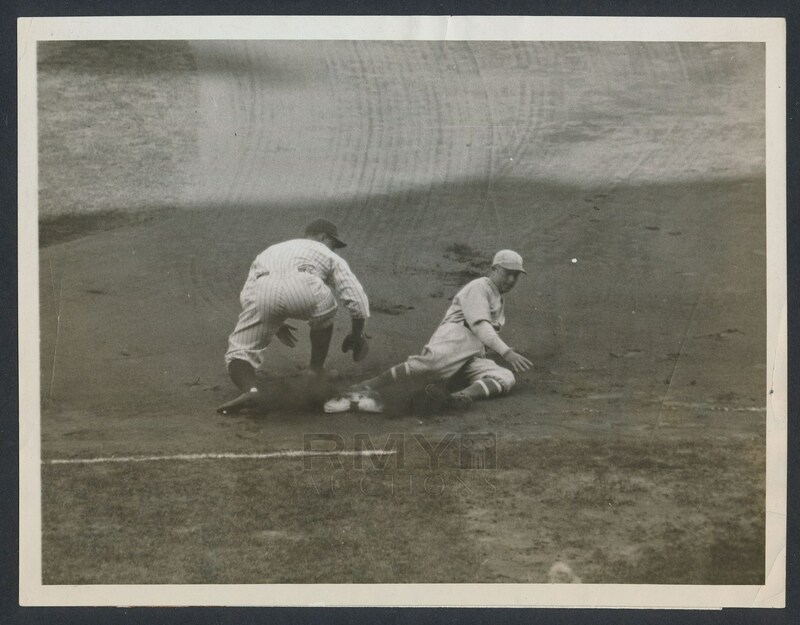 1928 Action photograph of young Hall of Famer Lou Gehrig as he makes the play at first base during the Yankees home opener against the Philadelphia Athletics. A beautiful action photo in really nice condition, this image captures the hulking young superstar before uniform numbers were added to the backs of the jerseys. 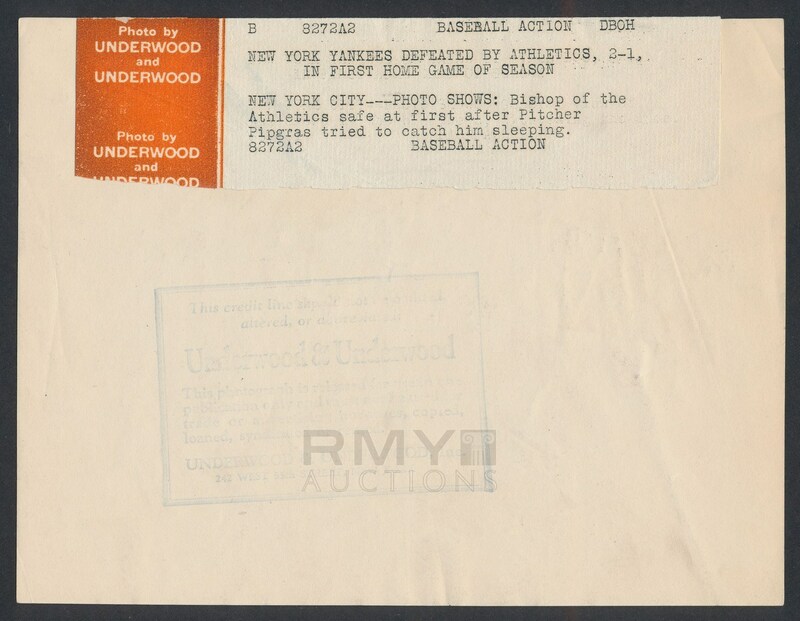 Issued by Underwood and Underwood and the photo presents in fine condition overall, grading nearly perfect!